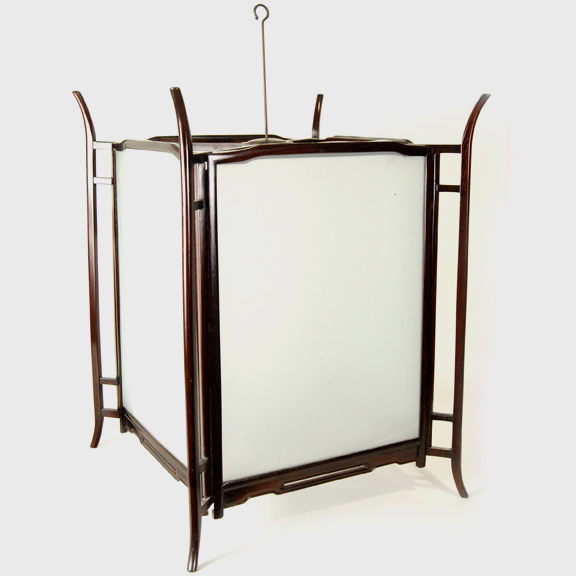 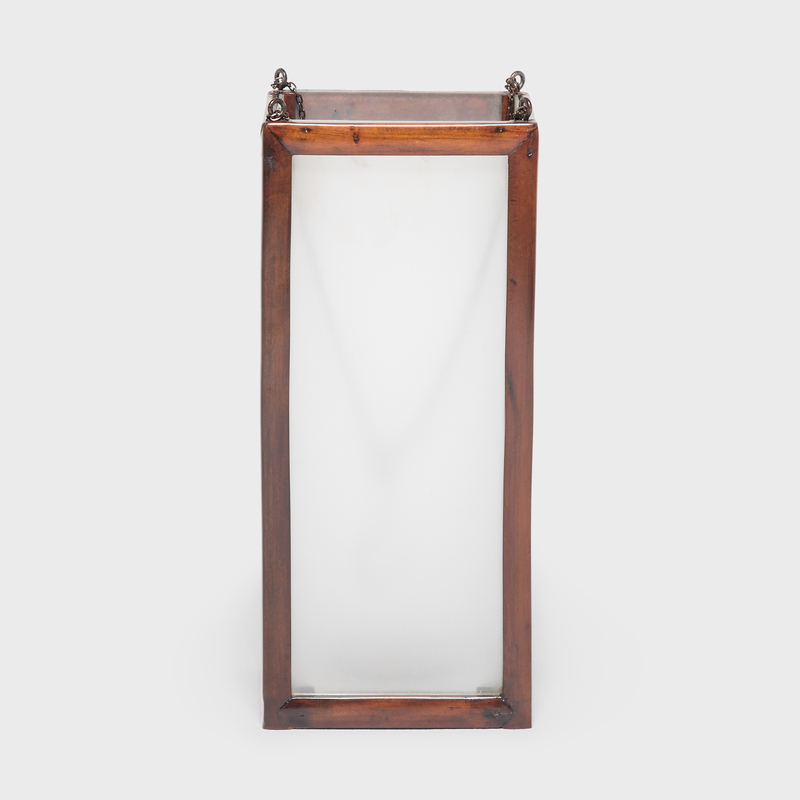 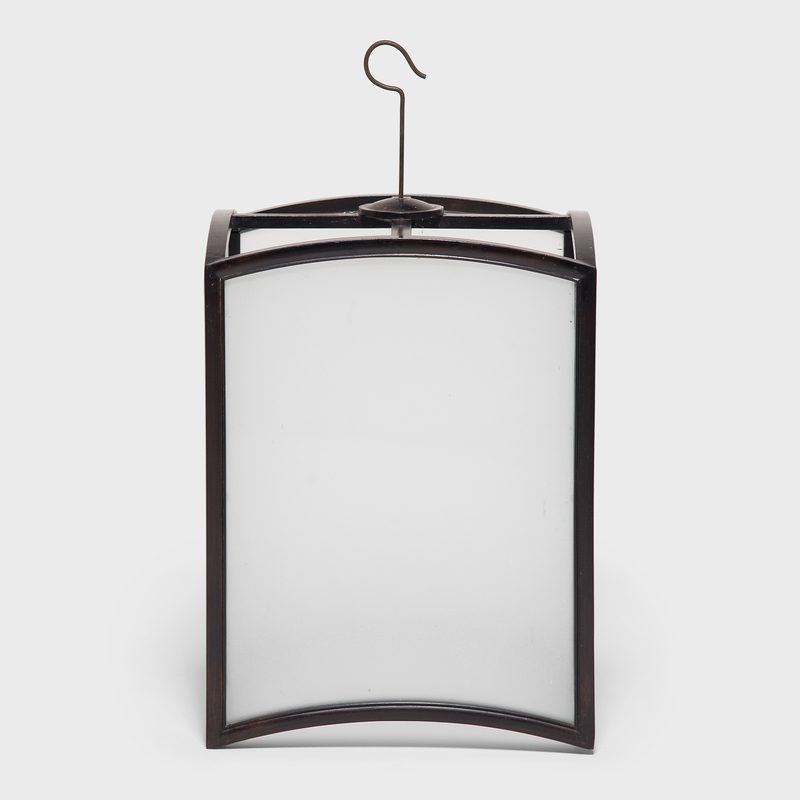 W: 15.5" D: 15.5" H: 14.25"
Imagine the magical atmosphere this lantern created, filled with flickering candles to illuminate a very fine courtyard home in Guangdong province. 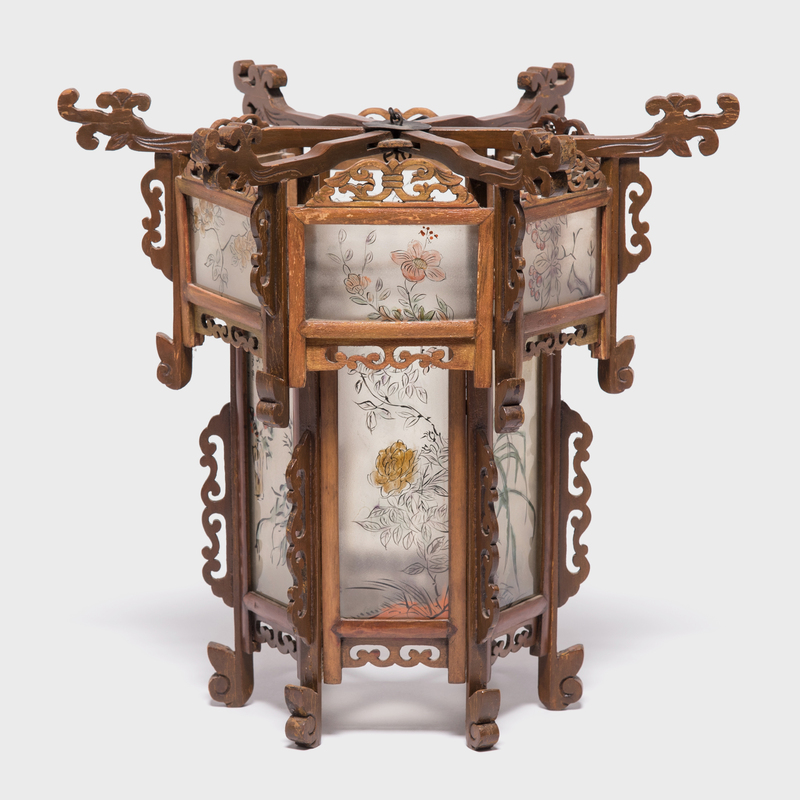 Intricately carved of prized rosewood, the lantern is made even more exquisite by painted frosted glass panels, each gracefully depicting the varied flora of the region. 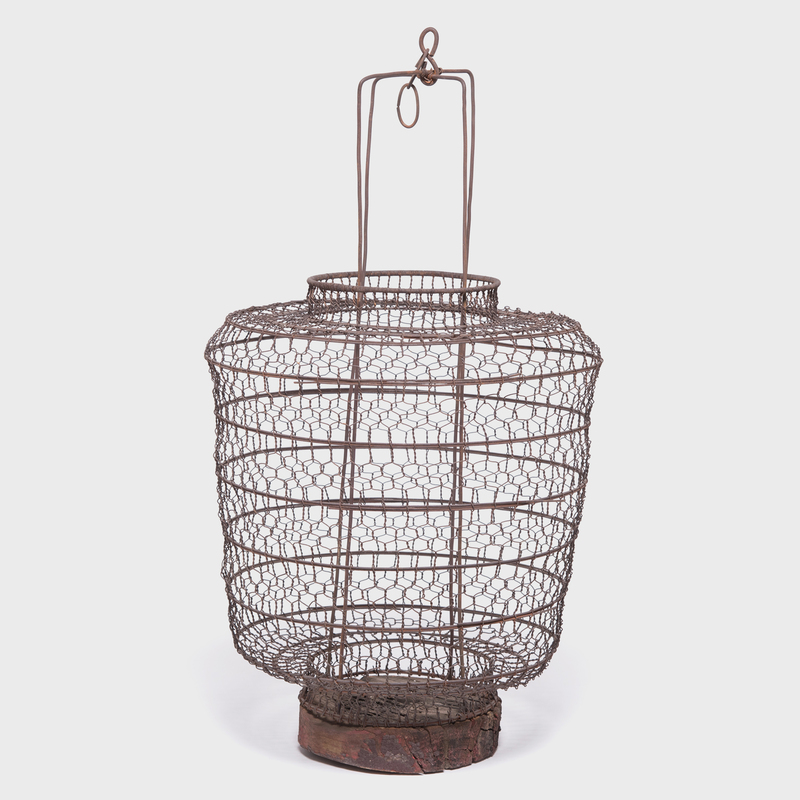 The lantern can be hardwired by a certified electrician and professionally installed.